22 Banbury Harriers, mainly juniors, travelled to Cirencester Park for the second round of the Oxford Mail Cross Country League. On arguably the best cross country course we run our U9’s got us off to a good start with Mollie Davis 3rd and Joe Swift 10th. Our Under 11’s clearly enjoyed the hills. 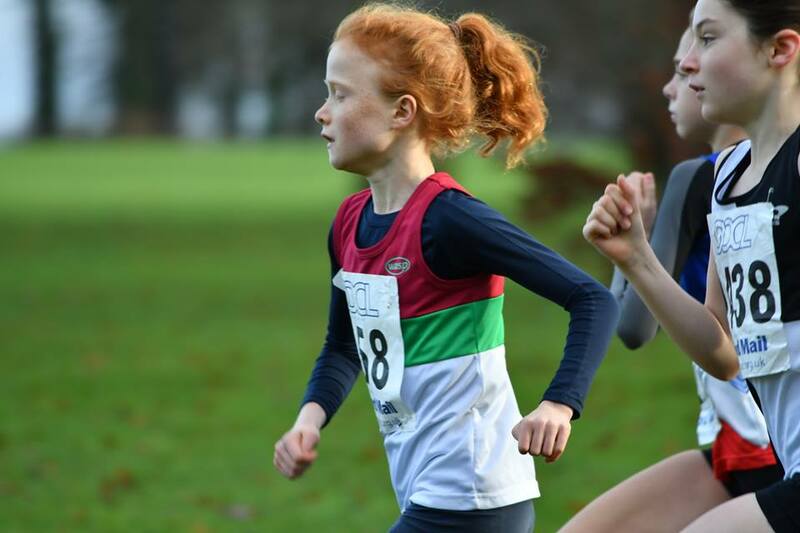 Isla McGowan has had a consistently good season so far, and came home in 2nd place, with Richie Mack improving as the season goes on to finish 4th in the boys race. They were followed home by Frankie Scrivener 24th and Merle Snelson 42nd in the girls race, and Thomas Roberts 24th boy. Our Under 13 teams were 3rd (boys) and 4th (girls) on the day, with both Ruben Snelson, showing some good speed, and Tilly Lainchbury having recovered well after winning North Oxon Schools race in the week both 3rd. Sam Davis was 14th, Archie Street 20th, Miles Taylor 39th, Rosie Brand 22nd and Freya Pamphlett 26th. Our only U15/U17 Lady was Katie Pamphlett who picked up places on the hills and finished strongly in 22nd. Daniel Roberts had another consistent run to finish in 3rd place in the U15/U17 Mens race, closely followed home by Owen Knox in 4th after starting conservatively and picking up places all the way through the race following injury problems. Only 2 senior men were out due to a number running the previous day at Luton, with Mark Scrivener in 188th and Neil Forbes 254th. Our Senior Ladies team consisted of an U20, F45 and senior lady and finished a creditable 4th team. A slightly under par Tia Williams was 18th, Michelle Bartlett ran amazingly well on the hills considering she had run the previous day in 20th, and Charlotte Drummond surprised herself in coming 25th despite having just returned to training following injury problems.